It’s not a bird or a plane but it sure is fun to grow. 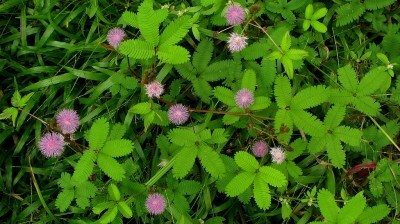 The tickle me plant goes by many names (sensitive plant, humble plant, touch-me-not) but all can agree that Mimosa pudica is a must have in the home, especially if you have kids. What Kind of Plant is a Tickle Me Plant? So what kind of plant is a tickle me plant exactly? It’s a shrubby perennial plant native to tropical regions. The plant can be grown outdoors as an annual but is more commonly grown indoors for its unusual growing characteristics. 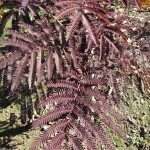 When touched, its fern-like leaves close up and droop as if being tickled. 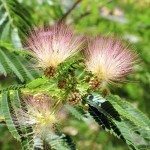 Mimosa plants will also close their leaves at night. This unique sensitivity and ability to move has fascinated people since early times, and kids are especially fond of the plant. Not only are they fascinating, but attractive too. Tickle me houseplants have prickly stems and, in summer, produce fluffy pink, ball-shaped flowers. Since the plants are commonly grown around children, the thorns can easily be removed with a nail clipper to prevent any possible injury, though rare. Outdoors, these plants prefer full sun and fertile, well-drained soil. Indoor tickle me plants should be placed in a bright or partially sunny location of the home. While potted plants can be purchased, they’re actually just as easy (and more fun) to grow from seed. How to make a tickle me plant grow from seed isn’t difficult at all. The most important thing to keep in mind is soaking of the seeds in hot water overnight prior to planting them. This will simply help them to germinate quicker. Gently plant the seeds about 1/8 of an inch deep in potting soil. Gently water or mist the soil and keep it moist but not overly wet. It also helps to cover the top of the pot with clear plastic until it sprouts, though it’s not required. Place your tickle me houseplant in a warm area, with temperatures between 70 and 85 degrees Fahrenheit (21-29 C). Cooler temps will make it more difficult for the plant to develop and grow properly. In fact, this can cause it to take up to a month longer to grow. Once sprouts appear, the plant can be moved to a brighter location. You should see its first true leaves within a week or so; however, these leaves cannot be “tickled.” It will take at least a month or more before the tickle me plant is ready to react to touch. Care for tickle me plant is minimal. You’ll want to water the plant well during its active growth and then sparingly in winter. Tickle me plants can be fertilized with a general houseplant or all-purpose fertilizer in the spring and summer. If desired, the plant can be moved outside for summer and brought back indoors once temperatures begin to fall below 65°F. (18 C.). Remember to acclimate plants both before putting them outdoors and bringing them back inside. Outdoor garden plants will not come back; therefore, you will have to either save the seeds or take summer cuttings in order to enjoy them again the following year.